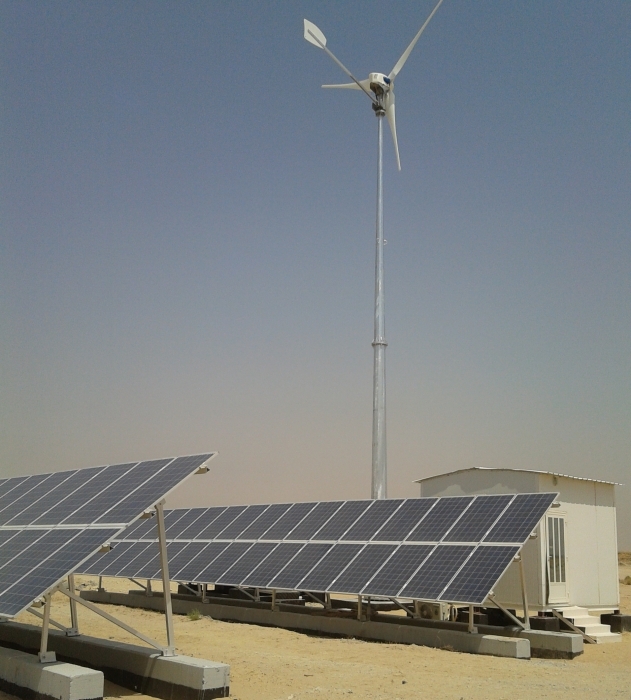 The ANTARIS 9.5 kW is working near Kuwait on an 18 m custom designed monopole tower. The Turbine works in an 3-phased off-grid hybrid system with PV and 3 pcs. Sunny Islands. Because of the hot weather and the sandy area, the turbine works more efficient than PV. They made a very professional job, special thanks to Mr. Ahmad! Al Fink liked this on Facebook.